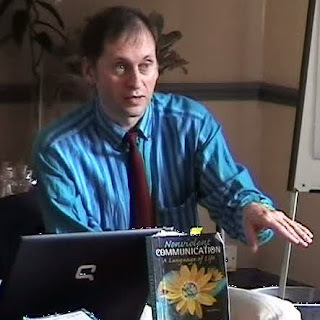 If you want to read more about RJ and nonviolent communication, I recommend this page written by me and colleagues for another website. A fuller version of ongoing nonviolent communication and restorative justice work will be developed on www.restorativejustice.pbworks.com/nonviolent_communication. You do? Great, then I hope we'll soon be in a conversation where I get to listen to your hopes and ideas. Once we've each checked that we understand what the other wants to see in terms of a better world, we can see how we can build part of it with mutual support. Dominic's work is widely recognised and now summarised well in pages 42-45 of the 'Radical Efficiency' report by NESTA, "the UK's foremost independent expert on ...innovation"; innovation which addresses social needs en route to the 'Big Society' of which the PM et al dream. Developing on-line tools to help our conflicts "blossom" and to be well-managed without proliferating. My experimentation in this began when I launched ApologyPlus in 2006 with Marshall Rosenberg. This type of on-line conflict work (using restorative practitioner facilitated texts, audio and video messaging) continues now within the Safeground project, run by Restorative Technology Ltd, a NESTA supported project. Promoting sharing as a key area of growth in times of resource shortage/ environmental destruction. eg Freelending Community Interest Company's freelender.org website. If you want a site that looks slicker then, as my alter-ego, "Lend It All Man", I recommend ecobees.com , ecomodo.com and letsallshare.com. As a co-director of Freelending CIC, linked to freecycle UK and friendly with Freegle UK too, I attempt to bring all relevant players in the 'sharing and gift economy' together. Fundraising for the dignity and opportunity of those short-changed by India's caste system by supporting Dalit-run charities and other Karuna.org projects. Building communties with shared spiritual goals, as modelled by the Triratna Buddhist Community. Perhaps from this site you get the picture that I spend much of my time developing, commissioning and/or contributing to websites? "Digital technologies are ‘disruptive’ in that they enable new forms of provision that meet user needs better and at lower cost. Successful internet tools are scalable, personal, collaborative and can be extraordinarily cheap to develop. The web disrupts traditional services by cutting out the middle-man, providing greater flexibility and offering people goods and services which are highly tailored to their needs. In short, they put the service user in control.